I’m not entirely familiar with Spanish cuisine, but nevertheless, a good paella negra never fails to bring me happiness. Whenever the craving for it would hit us, my mother and I would grab an order of paella negra from Mingoy’s in Alabang Town Center to go. Watching TV in bed with a bowl of paella negra—for me, that was the life. 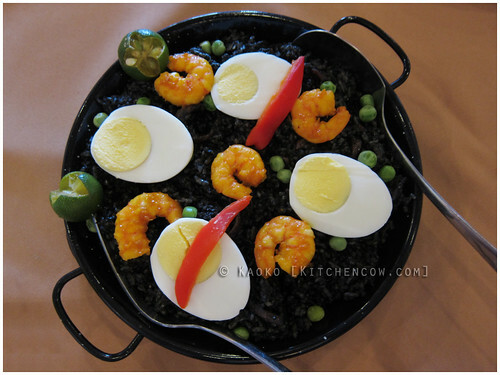 With the restaurant closing, we were left with no way to satisfy the paella negra cravings. I missed you, Paella Negra! But good food is not something you can keep hidden for long. 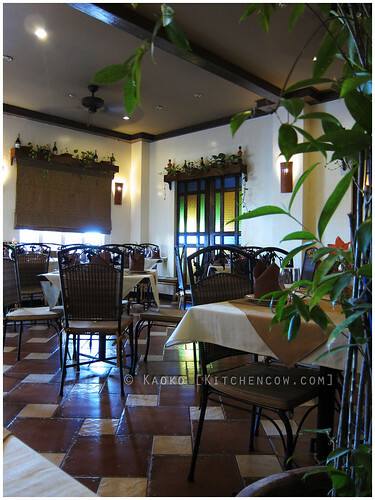 Casa Iberica, a quaint little Spanish restaurant along Daang Hari road in Bacoor, Cavite was born. Staffed by Mingoy’s veterans, this cozy restaurant offers a varied menu that satiates Spanish food cravings from morning to night. We were quick to decide on the paella negra, for one. From experience, we knew that para uno (for one) is enough for two to three people. One bite and I was brought back to those early evenings in front of the TV, just me with my bowl of paella. The flavor was spot-on; rich with squid ink, lavishly arrayed with perfectly cooked squid. A few pieces of shrimp rested on top, alternated with slices of hardboiled egg and some roasted pepper strips. Crusty bits of rice, “tutong” as we call it, added a playful texture. A light sprinkling of calamansi sliced through the richness, adding depth to the flavor. Happy? You bet I was. Aside from Spanish classics, Casa Iberica also offers Filipino dishes. 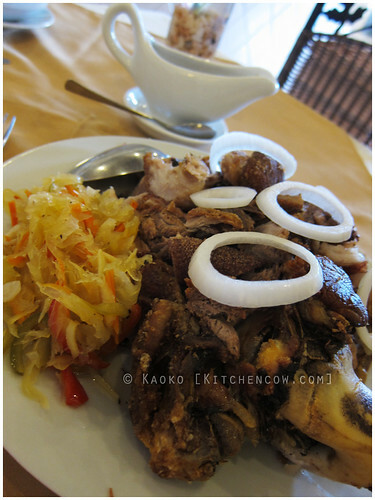 We tried their Crispy Pig Knuckles, aka Crispy Pata. Deep-fried to a nice, brown crisp, it was a delicious treat, eaten with a serving of atchara (pickled vegetables) and crunchy, raw white onions. Casa Iberica offers a lot more dishes–they even offer set menus for private functions–but I honestly doubt that I’d get to try a lot of them. Not because I won’t come back, because I surely will. But mostly because now that my favorite paella negra and I are reunited, nothing else matters. nice place. the food looks delicious, the place looks inviting. thanks for sharing! Such a pity, but perhaps it calls for another visit? It is 😀 It’s barely in Cavite, really. Part of what I call fake Cavite because it’s just on the border.